This notable home is one of the most photogrphed homes the world and considered to be “one of the most important examples of international style architecture in the United States. 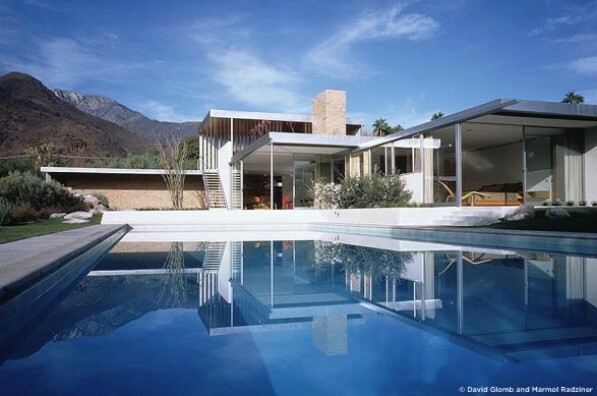 The home was designed by Richard Neutra as a winter home for department store magnate Edgar J. Kaufmann Sr. It was built in 1946. Kaufmann later went on to commission Falling Water from Frank Lloyd Wright. The house underwent numerous renovatons and owners from Barry Manilow to San Diego Chargers owner Eugene V. Klein. Brent and Beth Harris eventually purchased the home and restored it with the assistance of Marmol Radziner…to much critical acclaim. Dispite its location in Palm Springs, it has been lauded as one of the 10 best homes in Los Angeles by the Los Angeles Times. This entry was posted on Thursday, November 18th, 2010 at 4:42 am	and is filed under architecture & design. You can follow any responses to this entry through the RSS 2.0 feed.